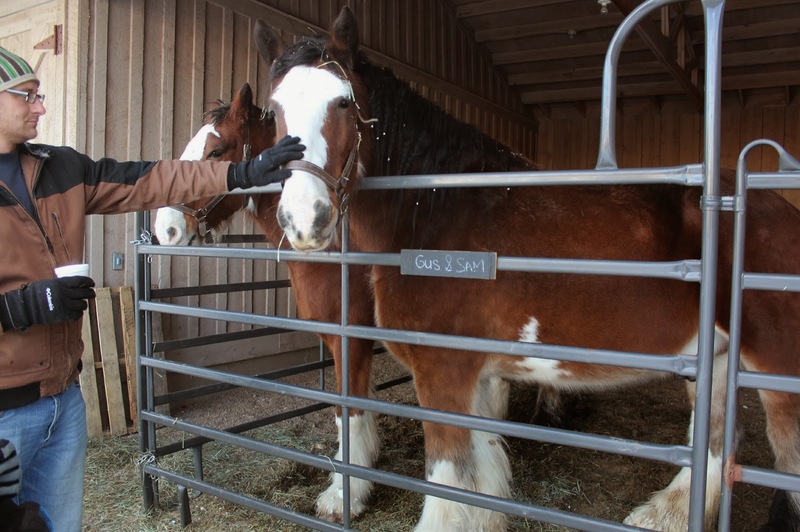 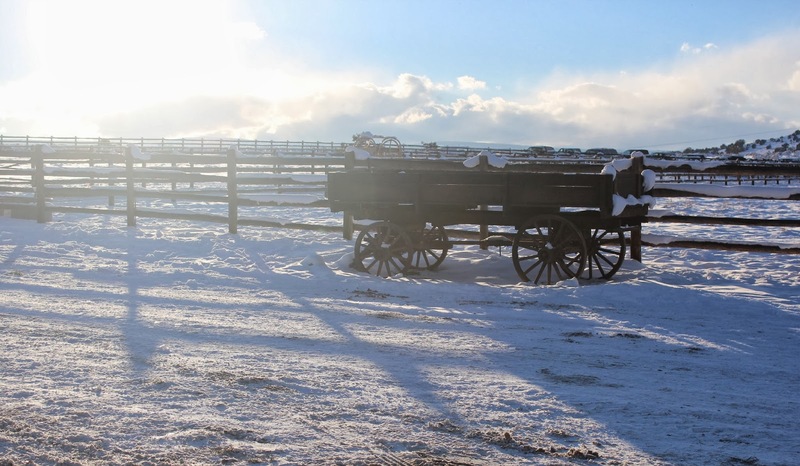 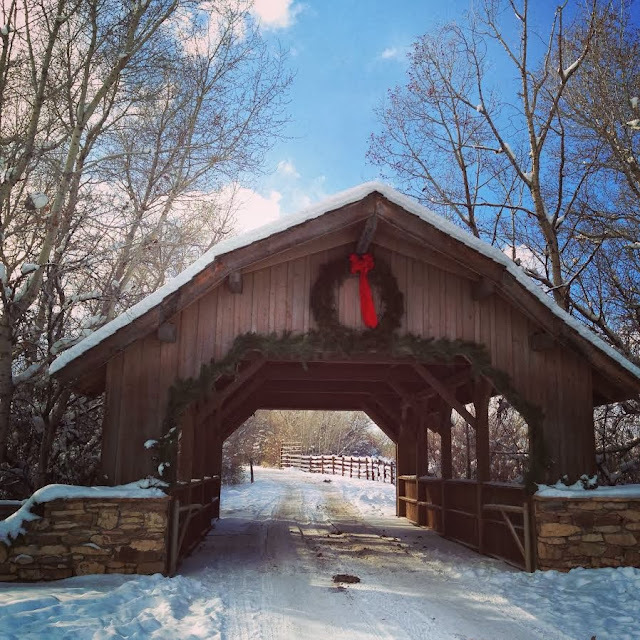 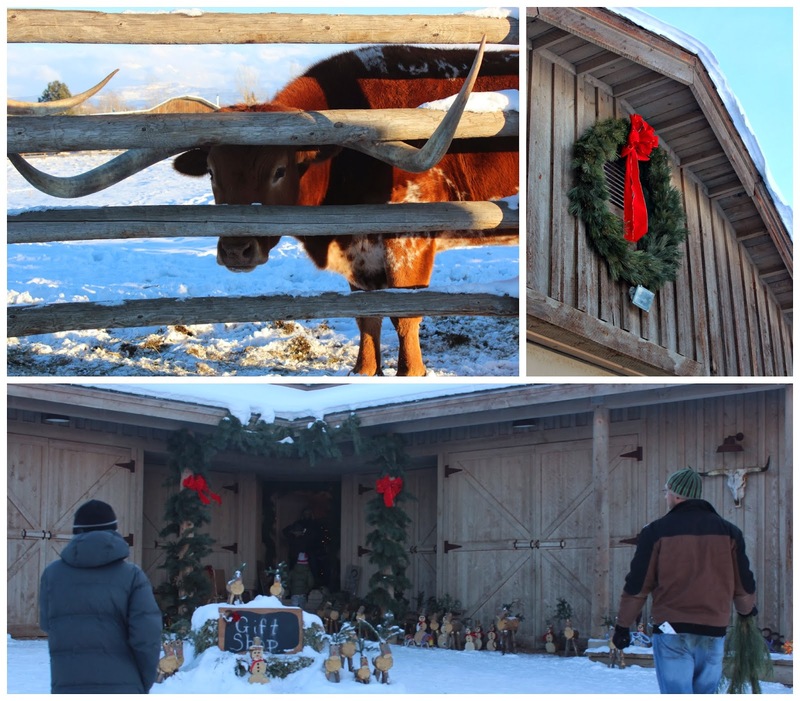 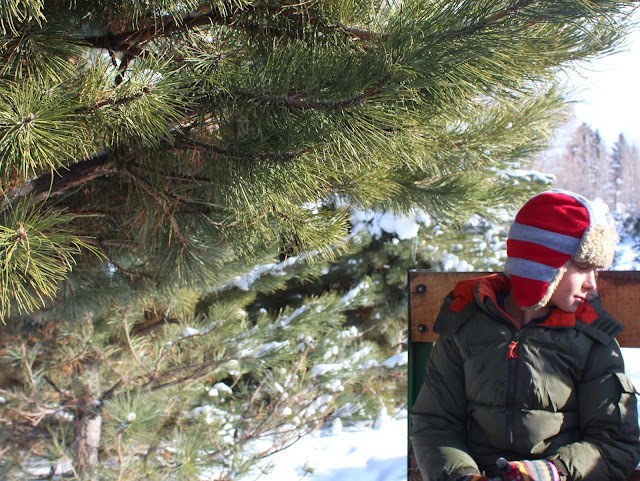 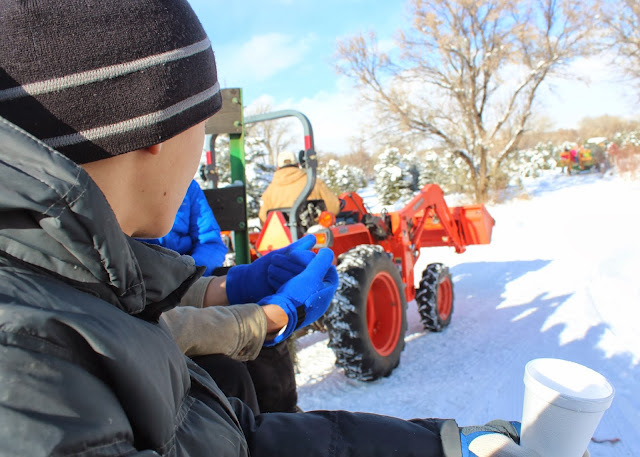 read about our sleigh ride in Aspen! 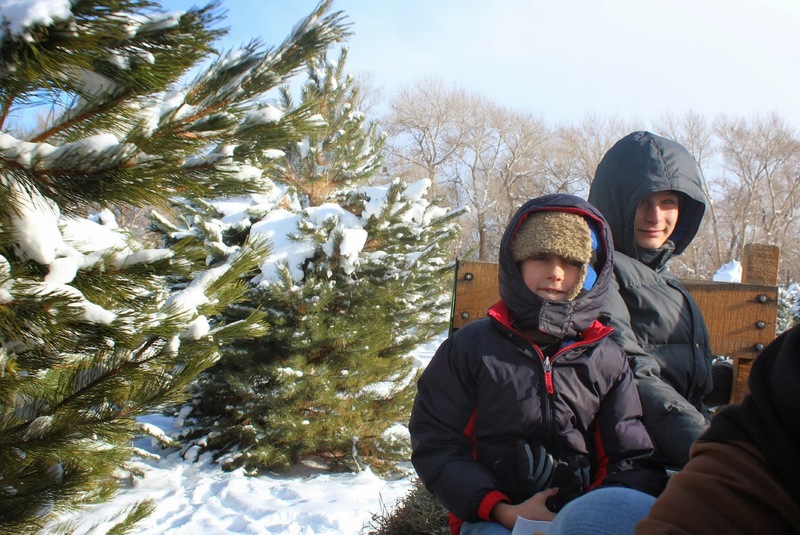 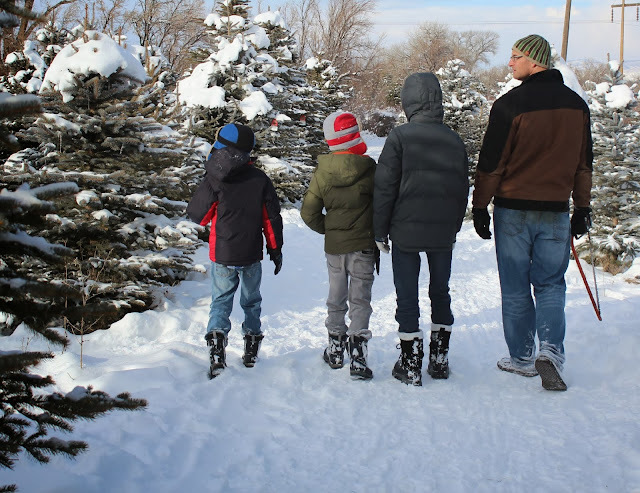 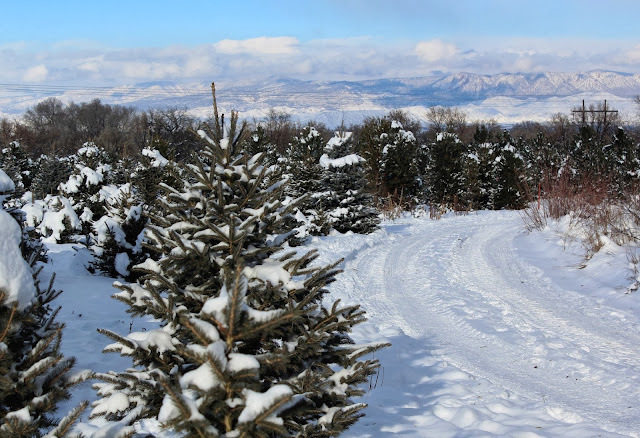 We grabbed a beautiful December Sunday and spent our time at the Christmas tree farm! It was all things festive, all things that I was wishing for! 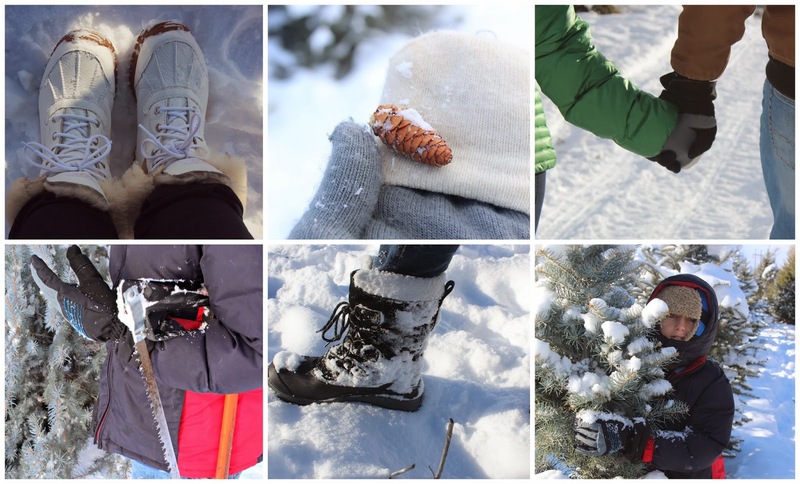 It's fun to kick off December with some classic winter recreating. 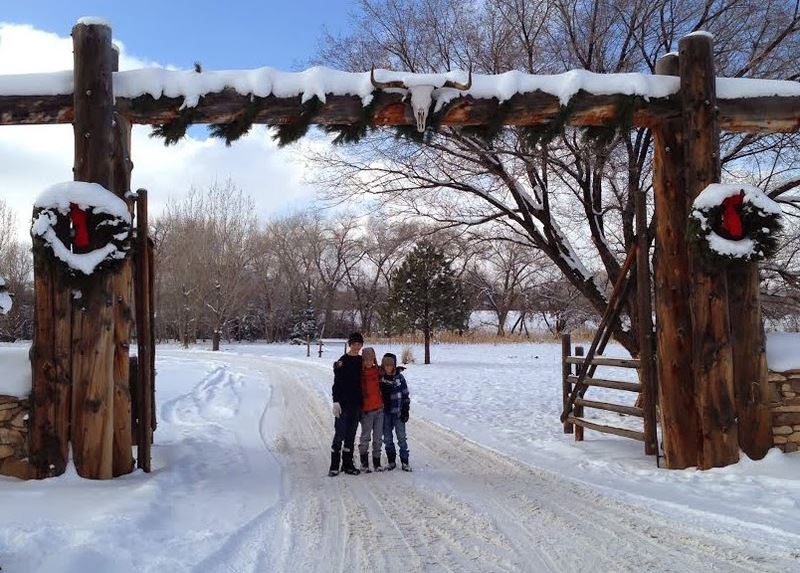 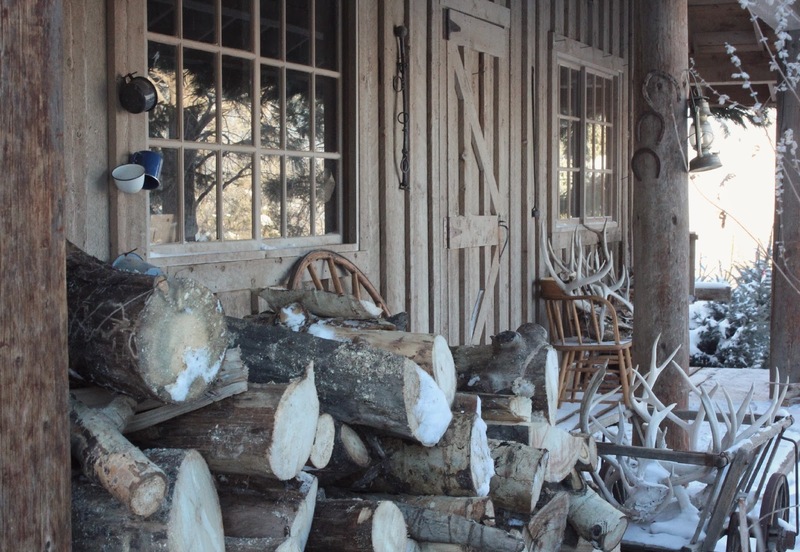 Covered Bridge Ranch is sprawled on a hill in the middle of Colorado country. 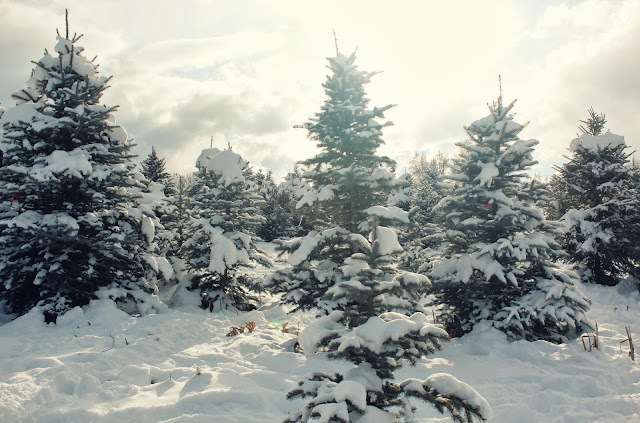 It is absolutely peaceful and oh so pretty in every way. 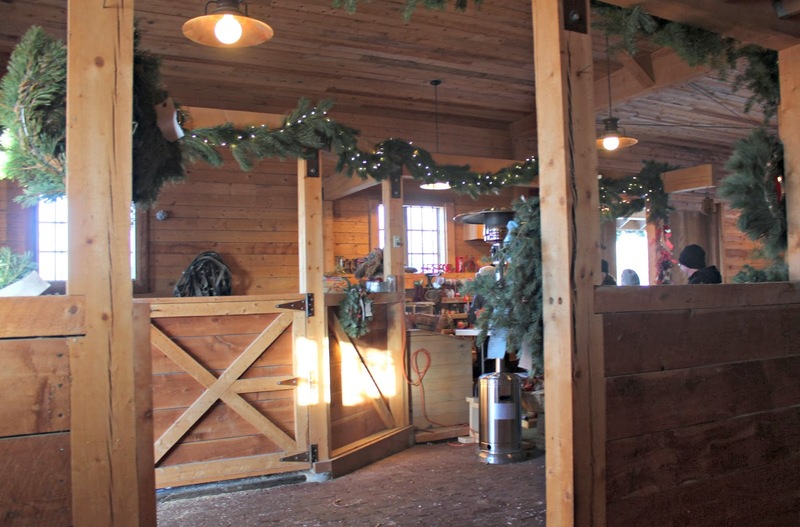 They have a fresh wreath making barn too, super cute! Cameron, warming up with apple cider inside the wreath-making barn. 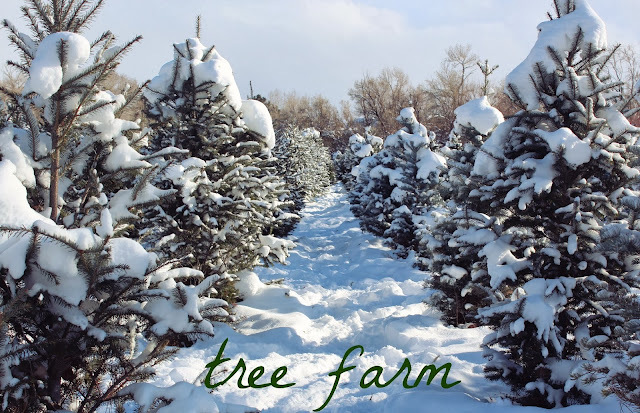 We set off from the ranch to search for trees! 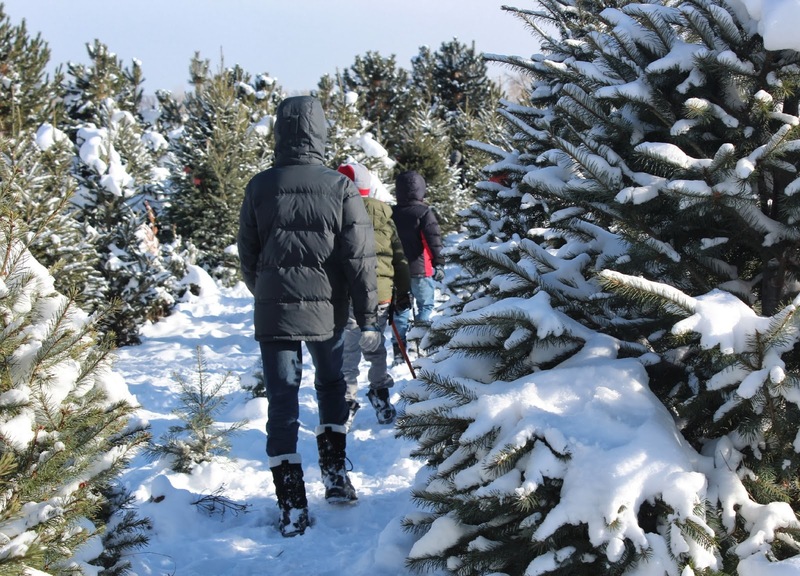 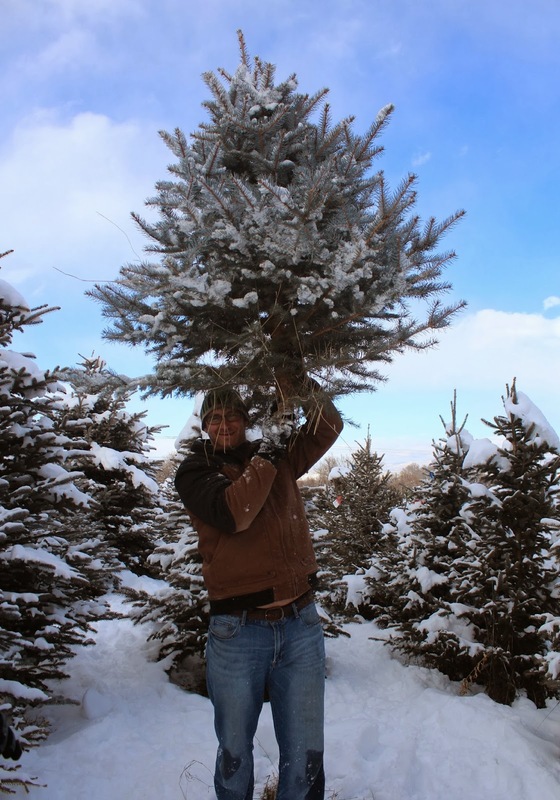 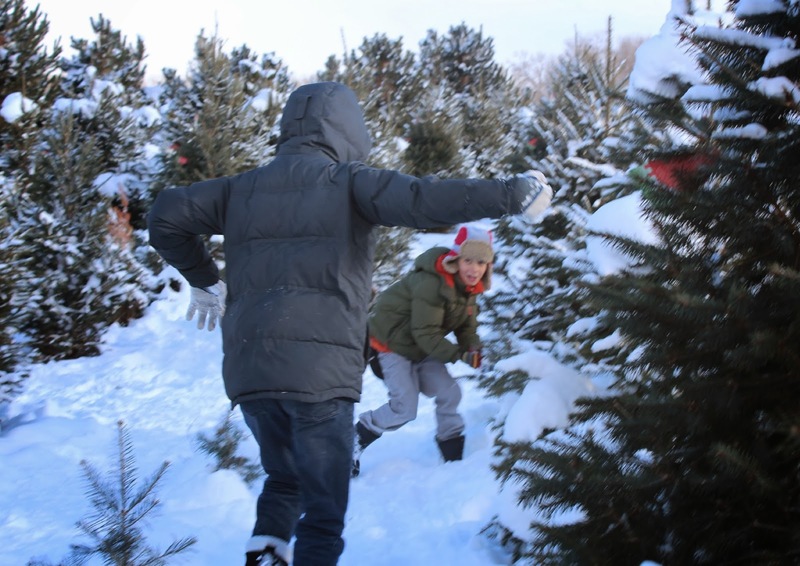 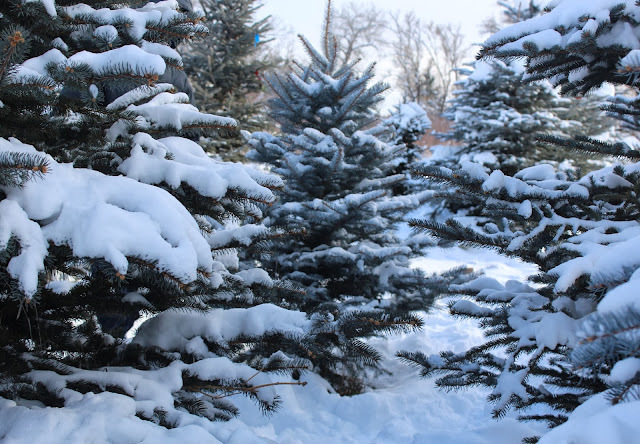 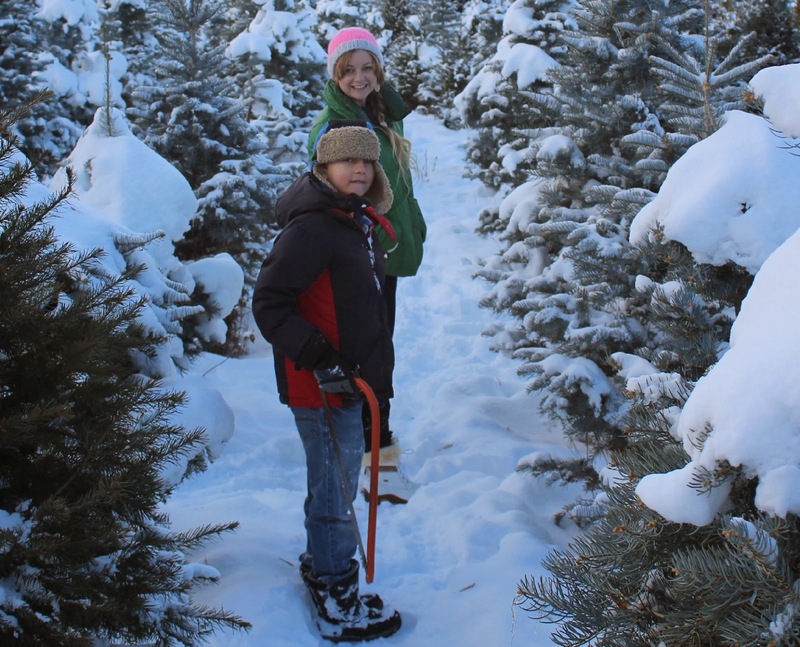 We mazed our way around rows of evergreens, looking for the perfect one to take home. The gold sun, the blue skies, the green trees, the white snow made an ideal winter day out. Oh, that's the one. 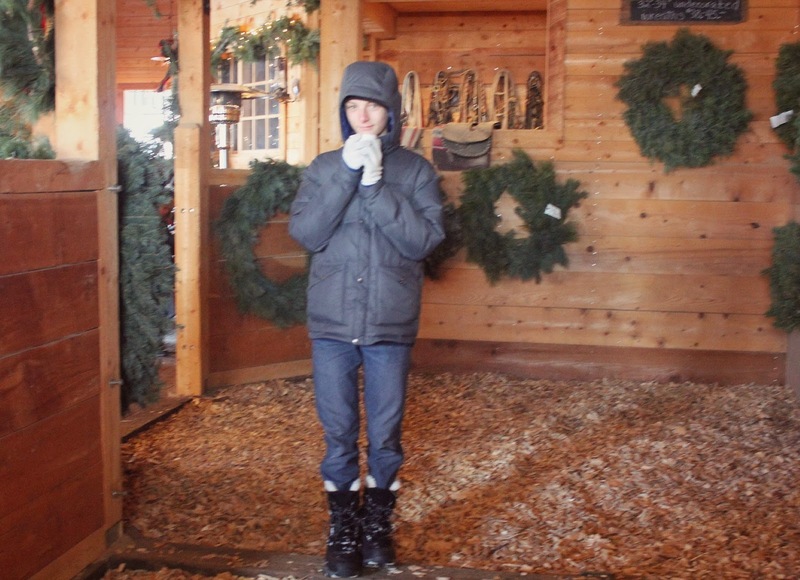 The lil blue. Let's take him home. 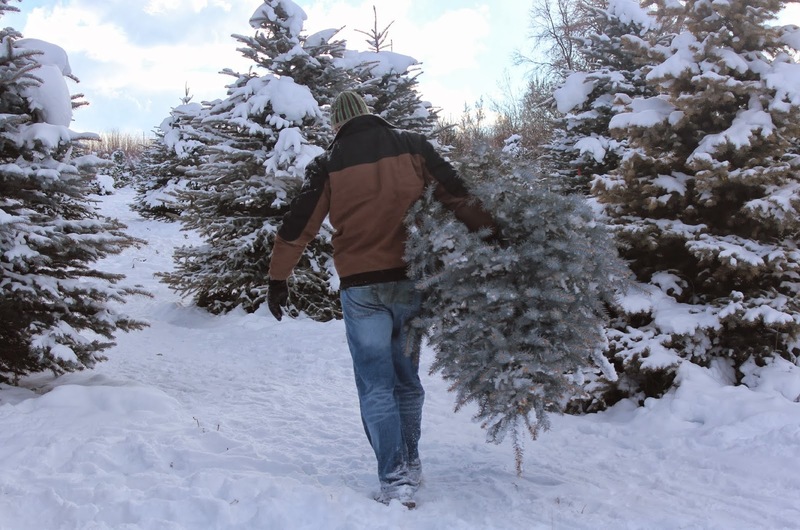 Of all the trees, he's the one. 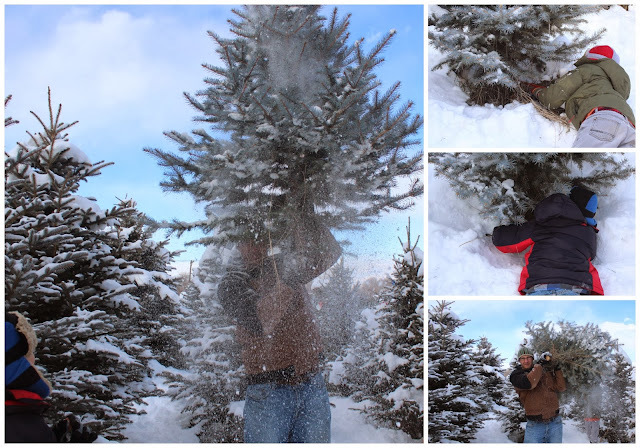 The guys all took turns cutting it down. 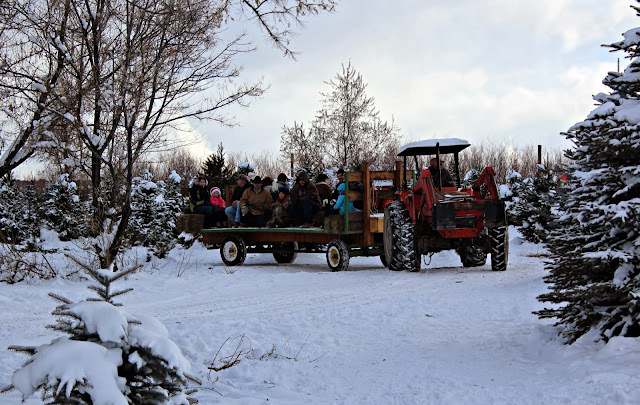 Then we waited for a hay wagon to round the bend to pick us up. 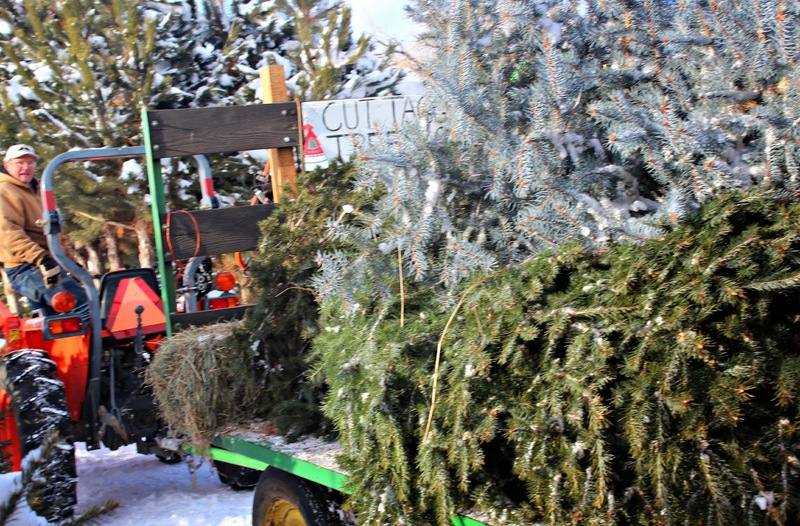 Trees loaded and ready to ride! 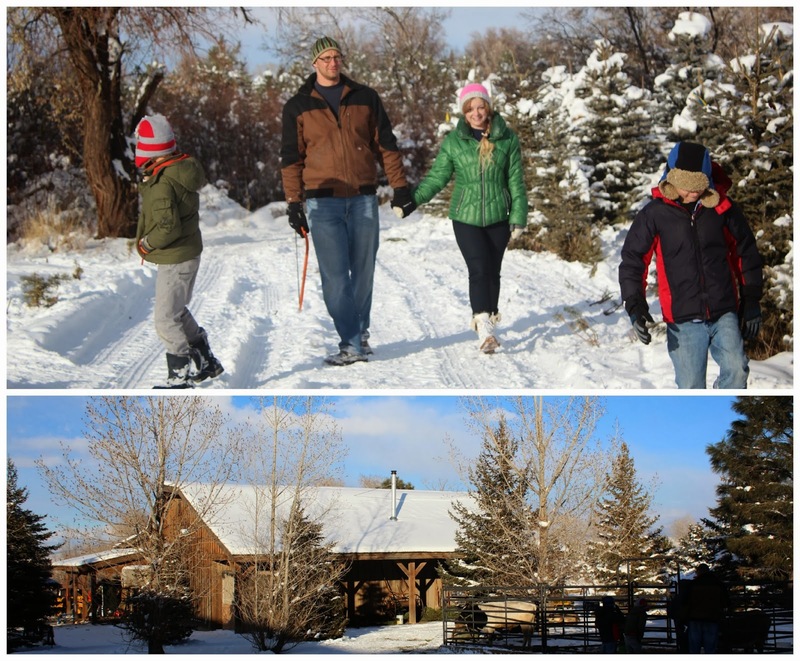 Winding our way back to the ranch. Meanwhile, back at the ranch, the tree team prepared and bagged our tree for transport home. 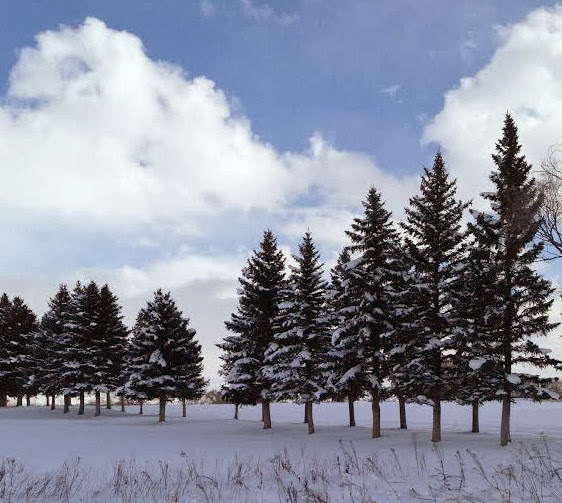 Lines of trees piled on cars, ready to find new holiday homes. 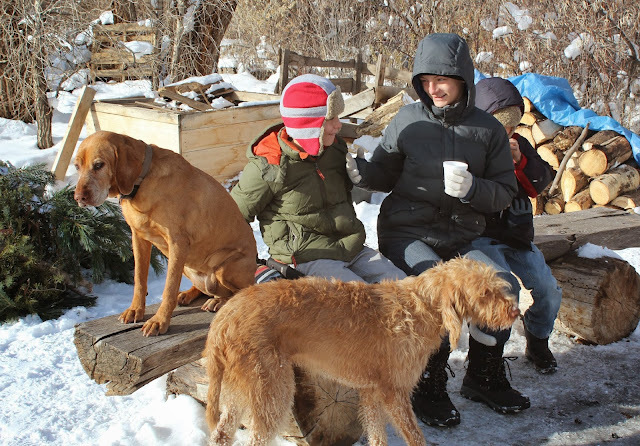 While we waited, we warmed up by the outdoor fire, roasting marshmallows and sipping cider. 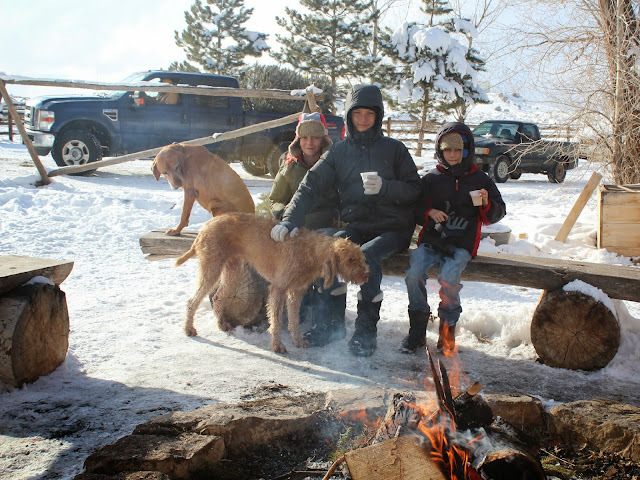 family and of outdoor beauty.